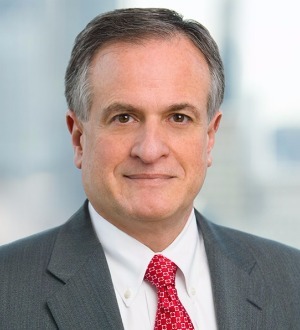 Joseph A. Coco has served as lead lawyer for more than 25 years on high-profile acqui­sition and disposition transactions, private equity matters and financings for both public and private companies. Mr. Coco has worked on numer­ous negoti­ated and ­hostile acqui­sitions (ranging in size from $100 million to $20 bil­lion), initial public offerings and complex REIT transactions. He counsels companies on a wide range of corporate, securities law and corporate governance matters. Mr. Coco also has represented a number of investment banking clients. Mr. Coco repeatedly has been selected for inclusion in Chambers Global: The World’s Leading Lawyers for Business and Chambers USA: America’s Leading Lawyers for Business as a leading corporate, mergers and acquisitions and private equity buyout lawyer. Additionally, he has been recognized as a leading mergers and acquisitions lawyer in The Best Lawyers in America. Hospi­tal Corpora­tion of America in its $7.6 bil­lion merger with Colum­bia-HCA Healthcare Corpo­ration (1995) and the leveraged buyout by its manage­ment (1989).